1000HP+ Dodge Hellcat. Will It be Better Than The 2018 Demon? This is an interesting video, which essentially tries to compare an upgraded Dodge Hellcat to the upcoming 2018 Dodge Challenger SRT Demon. It’s clear from the start that the guy in the video is definitely on the side of buying a Dodge hellcat, adding upgrades and getting the most power for your money. It’s also more readily available than what will be the Dodge Demon, but is the argument as straightforward as he makes out? There are many similarities between the two vehicles but the Dodge Demon will be limited to roughly 3000 units, it’s more of a showpiece and marketing endeavor than a long-term proposition and is obviously going to get compared to the very similar on the outside Hellcat. However, it’s always been the muscle car way to get a stock vehicle and add aftermarket upgrades to be able to tweak the power. 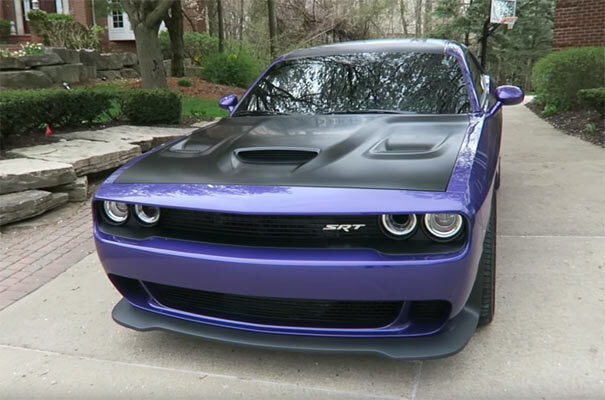 One of the arguments in the video is that you can buy a Dodge Hellcat for around $62,000, add $10,000 in mods. and get a more powerful car than the Demon. There are plenty of other caveats he explains in the video, but like many of us our decisions come down to cost and what we can afford in the real world. Watch the video below and comment on what you think about the video, his opinions and if an upgraded Hellcat will be a Demon killer. Related Items1000HP+ Dodge Hellcat. Will It be Better Than The 2018 Demon? Next Story → 2017 Dodge Challenger Hellcat vs Supercharged Mustang GT. Who Will Win?